…did you ever wonder who was the first using term “VJ” to describe the job? how it all happened in the begining? we did and we investigated that matter. 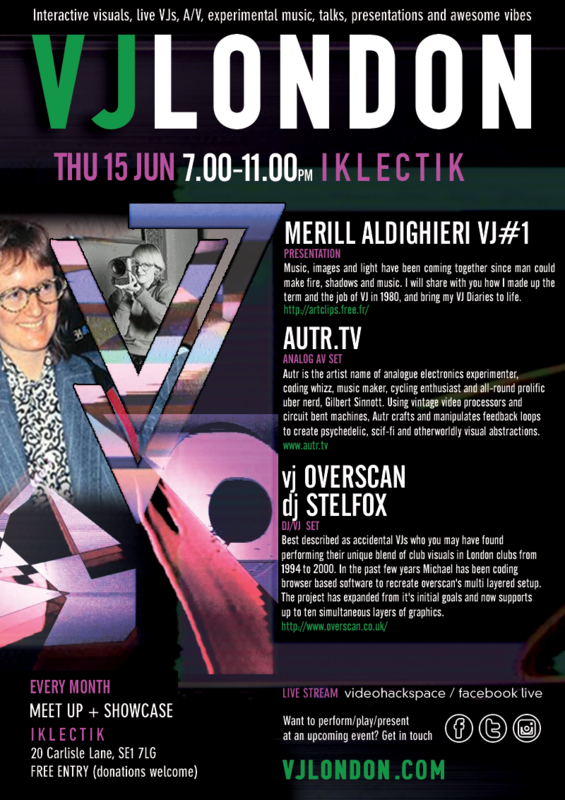 Therefore, we are honoured to host Merill Alidgheri (alongside other amazing artists), first person paid to VJ back in 1980s and who is the orginal VJ#1. Come along to. Entry free as usuall. Music, images and light have been coming together since man could make fire, shadows and music. I will share with you how I made up the term and the job of VJ in 1980, and bring my VJ Diaries to life. Autr is the artist name of analogue electronics experimenter, coding whizz, music maker, cycling enthusiast and all-round prolific uber nerd, Gilbert Sinnott. Using vintage video processors and circuit bent machines, Autr crafts and manipulates feedback loops to create psychedelic, scif-fi and otherworldly visual abstractions. Overscan were Michael Beverley and Paul Martell-Mead. Best described as accidental VJs who you may have found performing their unique blend of club visuals in London clubs from 1994 to 2000. 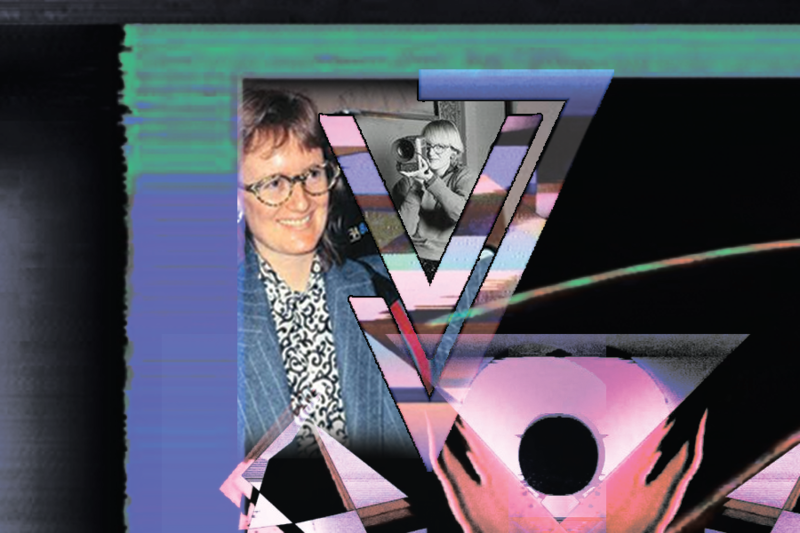 They were resident VJs at Tribal Energy (1994-95), Club Alien (1995-97), Restless Natives Trancentral (1997-99) & Fevah (1999-2000) at many venues including Cloud 9, The Theatre Factory, Electrowerks, The Rocket, The Fridge, The Forum, Heaven and The Astoria. In the past few years Michael has been coding browser based software to recreate overscan’s multi layered setup. The project has expanded from it’s initial goals and now supports up to ten simultaneous layers of graphics.